The Dodge was returned just before Christmas after both heads were rebuilt. 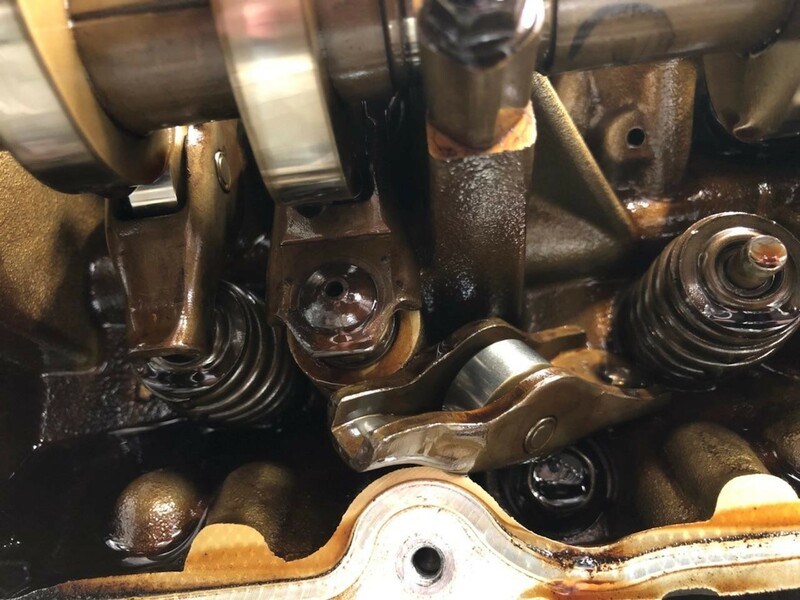 The valve seats on two valves failed and the rocker arms fell out due to lack of spring compression and were found in the oil galley as seen above. The valve seat failure went unnoticed due to the small changes over a long period of time. The engine is running far better with the rebuilt heads with a noticeable difference in the sound and power when driving up a grade. The money spent on the repairs make me happy for I did not have to buy a new or used pickup truck along with the additional costs for registration and insurance.